Every once in a while something comes along that is brilliant and riveting and ground breaking and Emma Watson's Met Gala dress is IT for 2016! I know Emma Watson isn't the FIRST person to wear clothes made from recycled materials (click HERE for some pretty creative creations), but dare I say that this is the prettiest I've ever seen!!! Emma's Met Gala dress actually gives me hope for my future.... and not in the socially responsible way, but in the self-centered, vain kinda way. I mean, HOW many outfits have I LOVED until I completely wore them out??? The answer is A LOT!!! Clothing is one of the few applications for the horrible, won't-go-away invention of plastic that actually makes some sense.... well, that and medical equipment. But the reality is, while in my dream world I may one day finally have a wardrobe that I will LOVE that won't ever go away, that still brings me back to the fact that plastic STILL never goes way. And I'm interested to find out REALLY what she thought about that dress. Did it make her feel overly hot or uncomfortable in any way? Did her wearing recycled plastic all night hurt her in any way? Would it have hurt her over the long-term? Every once in a while I get glimpses of a perfect world where my vanities are catered to with IMMORTALLY GORGEOUS outfits that I KNOW would motivate me to never gain weight, but then I'm reminded that recycling and repurposing still means that something is created that will never die and that goes against nature. Every once in a while my initial reactions are wrong and I realize that this gorgeous innovative Met Gala gown STILL would have been lovelier made of hemp. So... how to begin this??? Welp, I guess with being blunt. I was a child who grew up in an abusive home being kicked out of the house around the age of 16. I have spent MANY years of my life working on forgiveness and getting to a point where I can say that I've overcome the "consequences" of living with an abuser. It is something that I willingly admit still rears its ugly head, not because of unforgiveness, but because of unrepentance (well this is what I thought anyway). The relationship remained toxic well into my adulthood to the point where I finally separated from the abuser. Well, you might guess from how I started this blog post that my abuser was a family member. Recently, I had another family member share with me that I have issues (that she will be praying for) and that my separation was wrong. I was told that I was rigid and that I needed to look past the abuse even if the abuser did not repent. That, me being a Christian, I was called to love my enemies, feed them, clothe them and walk with them 2 miles if they walk a mile and that God never called us to act out of self-love or self-respect. I REALLY toiled with that because I too have read that I needed to love my enemies, but this person was not supposed to be my enemy... they were supposed to be my protector. Did God really want me to be around an unrepentant abuser??? 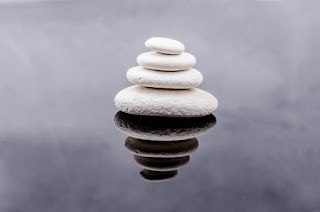 I don't know what was truly going through this family member's head and heart when she said what she said (only God knows that; perhaps I AM manic as she suggested), but it is my experience that it ALL is used by God. No matter how hurt I was in hearing all of this, I AM grateful! CLEARLY it is time for me to deal with the issues I still have no matter how offended I may be. I trust God's love for me above all else! If I am wrong and need to change, I pray that God humbles me and helps me change. So here is where I am, submitting this to God. Above all things I believe Him.... so off I go to my Bible. John 3:20-21 For everyone who does wicked things hates the light and does not come to the light, lest his works should be exposed. But whoever does what is true comes to the light, so that it may be clearly seen that his works have been carried out in God. 1. Study self-love. Is it wrong? 2. Study abuse. WHY can't I deprogram the pain? 3. Study forgiveness. Is this me really not forgiving? I feel like I've forgiven the past, I feel like it is the distrust of the future that guides my actions. Is that just justification? Even God, himself, requires repentance. 4. Talk to church counselors for confirmation during my study. 5. Daily prayer asking for God's thoughts to be my own. I know that God loves me and will answer my prayer. 6. Journal the journey of 1000 miles!!!! 7. Consult with other Christian-based resources on the topic of abuse. 8. Check with healthcare professional to see if I'm manic... I just laughed as I typed that, but I guess someone who is manic maybe wouldn't know. Ephesians 5:29-30 For no one ever hated his own flesh, but nourishes and cherishes it, just as Christ does the church, because we are members of his body. Mark 12:30-31 And you shall love the Lord your God with all your heart and with all your soul and with all your mind and with all your strength. The second is this: You shall love your neighbor as yourself. There is no other commandment greater than these. What was my take away from today? Loving yourself and self respect isn't wrong.... he built us to love ourselves. It is when the love we have for ourselves (and other things) is more important than our love for Him or our love for others that there is a problem. 2 Timothy 3:2-5 For people will be lovers of self, lovers of money, proud, arrogant, abusive, disobedient to their parents, ungrateful, unholy, heartless, unappeasable, slanderous, without self-control, brutal, not loving good, treacherous, reckless, swollen with conceit, lovers of pleasure rather than lovers of God, having the appearance of godliness, but denying its power. Avoid such people. Ok... it is WAY past time for bed and I have writer's cramp, but today was an AWESOME day of Bible study!!! Bonus: because you can get 2 and 3 steeps (sometimes 4) out of each serving of loose leaf tea, you can easily and ECONOMICALLY make an entire pitcher in minutes!!! 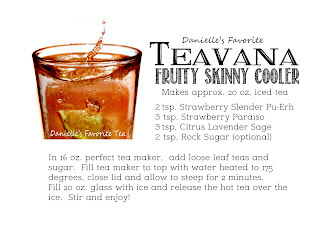 I actually double the recipe and steep in my large perfect tea maker. I can make a full pitcher lightening fast! Bonus 2: I will sometimes steep my leaves a fifth time and chill it overnight for flavored water the next day. 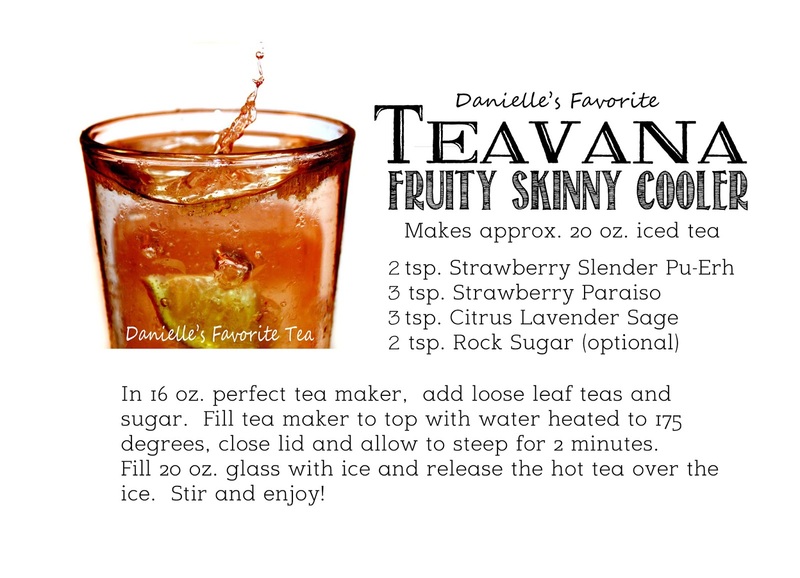 The flavor will be faint and refreshing! Bonus 3: My trash can NEVER stinks!!! The discarded tea leaves always seem to keep my trash can smelling nice and, I swear, I think the dried tea leaves actually absorb bad odors. I LOVE that part! Anyway, this is my little new years resolution lifesaver that I wanted to share. 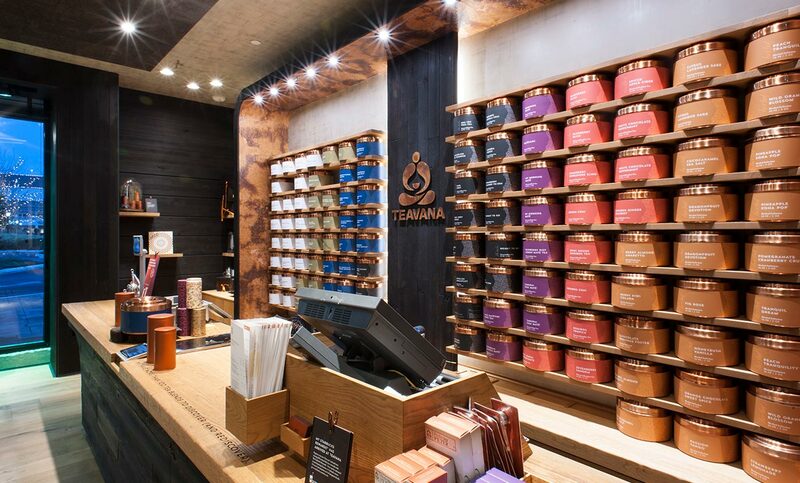 I just found out that I have a Teavana minutes from my house, so this might just end up being a weekly fix! Next week I might have to try a hot S'mores.... mmmmmmmmm! I DID NOT want to get this machine! I DID NOT want to love it! I DID NOT want to own another product produced by Provo Craft..... EVER! Years ago I fell IN LOVE with paper crafting! Shortly after my quick fall down the rabbit hole, by sister bought me a Cricut Personal Cutting Machine. It was the latest and greatest papercrafting tool on the market and ran on infomercials pretty much non-stop! It came with 2 cartridges and a 12" x 6" mat that allowed you to cut any image on the cartridges up to the size of the mat. IT WAS AWESOME..... however, ALL of the images were geared for teachers with very basic images that were child-like, and to buy new cartridges would set you back about $90..... WHOA! But I loved it and KNEW the technology would advance, and so it did. In fact, by the time the Cricut Expression was introduced followed by the hand-held design studio called Gypsy in 2009, cartridges were down to about $20-$30, the cutting space had increased to 12" x 24", there were THOUSANDS of GORGEOUS designs to cut and I was upgrading with the BEST of them!!! But with all of the progress, it seemed Provo Craft the company (the makers of the Cricut products) seemed to regress in service. They were leaders in the papercrafting world and they forgot WHO got them there. Their quality began to slip and more importantly, their service slipped to a point that it was so deplorable (you can read all about temper tantrum HERE), I stopped using and purchasing Provo Craft products ENTIRELY..... FOR YEARS!!! If it said "Cricut" or "Provo Craft" on it, I was NOT interested! I bought a Big Shot, by Sizzix, manual die cutting machine and turned to purchasing individual dies. 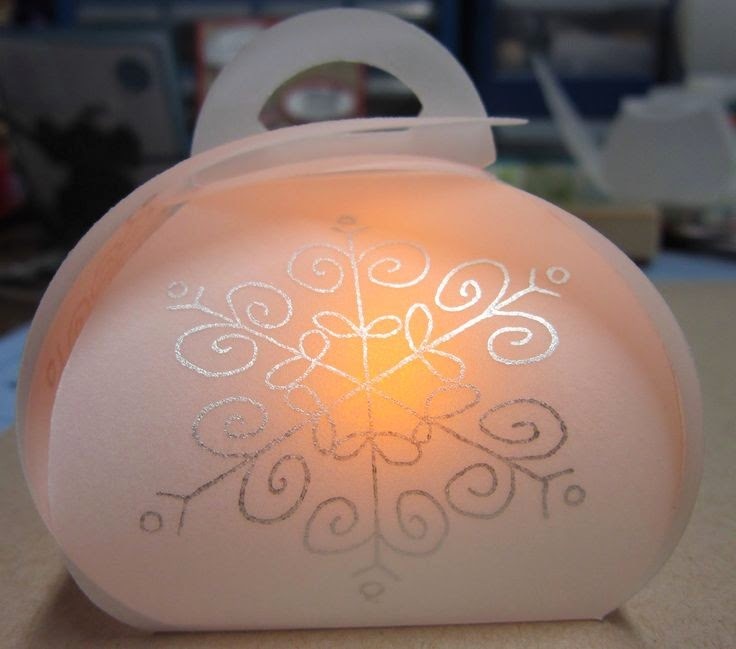 The service at Sizzix has always been excellent! Over the past 5 years since I stopped purchasing their products, Provo Craft has come out with a few products that I would have liked to try but my distrust of the company turned me away.... until now. This new machine is INCREDIBLE! It allows you to write/draw and cut at the same time, you can print and cut an uploaded image, you can cut any font you have on your computer, you can purchase SINGLE images to cut instead of an entire cartridge for the one image you need. The design studio is now on your computer, on your tablet, your phone or the combination of the three. You can CUSTOMIZE the colors of any of the images and simply print them out, OR you can print them out and cut them.... AND you can do it wirelessly!!! THIS.MACHINE.ROCKS! So I took the plunge! I bought the new Cricut Explore Air.... but only because I have an "out". 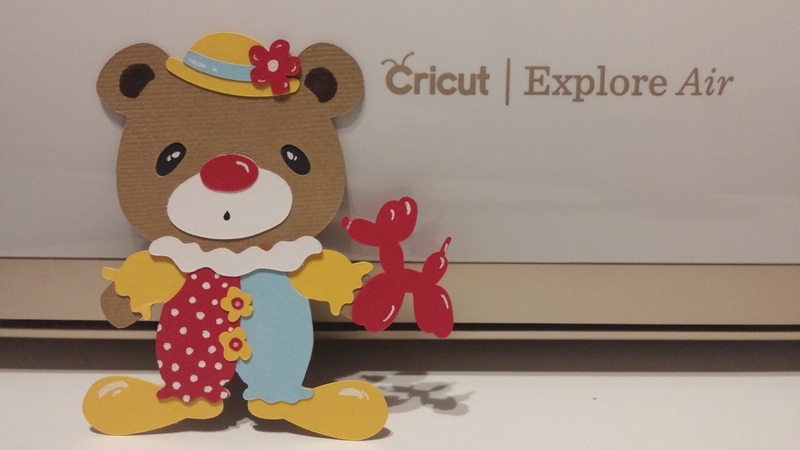 You see, HSN recently launched Anna Griffin's Limited Edition Cricut Explore Air in a special bundle for $269. The machine is a GORGEOUS gold color, was launched with 5 flexpays, no shipping AND I have until January to return it for a full refund. The customer service test began the day after I bought it and was an utter FAILURE!!! I thought I might have to return the latest and greatest machine unopened the minute it was delivered to my door. Back when the Gypsy was all the rage, I actually WON a free Gypsy hand-held design studio. The premise was that you could upload ALL your cartridges to this design studio and design anywhere WITHOUT having to lug around all your cartridges. By that time I owned about 60 cartridges, so you can imagine how incredibly awesome winning it for free was to me (I did a blog post about it HERE), especially since it retailed at launch for around $500. That would quickly drop to around $300.... as customer service noticeably slips. Well, the catch to owning a Gypsy was, once you uploaded your cartridges to a device, the cartridge could not be uploaded to another device EVER. Well, guess what machine is now obsolete and what is required to be able to use the new software in the new Explore Air I just purchased from HSN? You guessed it.... I need to upload all my cartridges, but can't! So I called customer service. The girl I spoke to advised me to use a USB cable to upload my Gypsy which would then sync up the cartridges on it to Cricut.com, but I would need this special USB cable that I didn't have and was out of stock. The representative didn't know when they would be back in stock. I asked if there was another way because my new machine was arriving and I wanted to be able to use all my cartridges when it arrived. Her tone changed as she proceeded to tell me that I could send her pictures of all my cartridges with a complete list, but I would need to make sure that she could see EVERY detail of the cartridges and that it was going to take her 7-10 business days to input when I could check other sources for purchasing the USB cable. I asked her if I could just go ahead and send her the pics of my cartridges, my machine wasn't due for delivery until the following week, so this route would probably be the easiest for me. She said "yes", but she wasn't "happy to help", if you know what I mean. She gave me her email address, which I read back to her before hanging up. That night I took my pics, prepared my emails (multiple pics requires multiple emails) and sent them off only to have them returned "undeliverable". Well... this was NOT a good start. I informed my husband that if he was home when the box arrived to refuse delivery.... I WAS NOT going to deal with Provo Craft's HORRIBLE service AGAIN! Well, I had the weekend to cool off from my temper tantrum. I watched a few YouTube videos on how the new machine works and decided to give a call on Monday morning. I got Nic who was WONDERFUL!!! He was helpful and patient and did I say WONDERFUL!?! He waited on the phone while I resent the emails and confirmed receipt of each one. He even waited while I powered on my Gypsy (WOW! Was that thing always this slow?) and went through the entire list of cartridges discovering that there were cartridges on my Gypsy machine that I never received a physical cartridge for (promos that came with the Gypsy machine as well as other promo's offered by Provo Craft) that I had completely forgotten about!!! Thank you Nic! I doubt you know that you stopped a freight train. Had that phone call gone any other way, I would have returned that machine. Had you been representing Provo Craft years ago, that company would have gotten A LOT more money from me!!! Nic gave me hope that Provo Craft might be going in a more customer service oriented direction. I received my new machine and am having a BLAST with it!!! I've even called the Cricut customer service line a couple of times yesterday receiving patient support both times as well. Time will tell. In the meantime.... WOW does this machine ROCK!!! And for the next two weeks I have access to SOOOOOO many Cricut images for FREE!!! I have the entire library to play with. And that idea is so smart...I already purchased 7 new cartridges because of those free cuts and 5 new cutting mats. See how happy customers spend money Provo Craft? Nic deserves a raise. WOW, WOW, WOW!!! So I just received the most wonderful comment on my blog from someone I've never met and it BLEW my mind because I had COMPLETELY forgotten that I wanted to use my blog for "Scribing" in my Miracle Morning program! I have gotten completely off track with my blog while I've been focusing on my new journey. And SO much has happened, so here is my update!!! Well, when I started this journey (AGAIN) almost a month ago, I had no idea that stars were truly aligning! I hoped for it and wanted to believe it, but I honestly wasn't sure. And then support from crazy, out of this world sources started showing up... are still showing up (thank you Nancy), prayers are getting answered at lightening speed and "effortless" is not the description I would use to describe THIS fun and mental change, but more like "enjoyable". Yep, I'm going there.... ENJOYABLE! I just visited my doctor for my "month one" weigh in and I'm down 11 pounds!!! This is a life that is changing! S- I'm up to 10 minutes to sit in silence and BE with God first thing in the morning. However, I'm also finding that I'm spending more and more time throughout the day to stop and "BE" as well. V- What if we moved mountains? The Bible says we can.... do I believe it? Do I believe this mountain is moved? I can see the elation in my mind's eye of slipping on that pair of jeans I've saved for the past 20 years refusing to throw them away because I refuse to give up hope. The feeling of release, of being lighter, the feeling of ease of movement. I'm reflecting over the past month, where I got it right and where I missed the mark, but it is different somehow. I've stopped beating myself up! I'm allowing myself to just be. When I do miss the mark (and I definitely did on more than one occasion this past month), I'm looking at it objectively, deciding how I will do things differently the next day and moving on. The one thing that has helped with that tremendously is using the MyFitnessPal app. It helps when you log EVERYTHING! When you look at days when you binged and then look at days when you ate perfectly within your calorie range, it puts the days you messed up in perspective. Over the course of 28 days, I messed up my eating plan 5 of those days that means that around 82% of the time I was right on track..... 82% got me 11 pounds lighter. I wonder what 85% will get me??? I could really use a miracle! Today is day two in whatever this thing that I'm doing is going to end up being. I'm hopeful, as I always am, that THIS time it is going to take and my life with be transformed. And by "it", I'm talking about overcoming my addiction to eating and living a healthy life! Maybe now is the time!?! I mean, when I was a smoker, I remember trying over and over again to quit and it just wouldn't take..... until it did. And when it did, it was effortless and it was for good. So I have experience with big, successful changes in my life. Why couldn't the stars be aligned this time? S- 5 minutes to sit in silence and reach for God. A- I am successful and capable with divine wisdom that surpasses understanding. I am highly favored by God receiving blessings I can barely contain. V- What does being successful and capable look like? How am I interacting with those around me with divine wisdom, favor and blessings from God? R- Psalm 37:18-19 The Lord knows the days of the blameless, and their heritage will remain forever; they are not put to shame in evil times; in the days of famine they have abundance. I am going to spend the day increasing my productivity. I am going to focus on connecting to God. I know that in Him is my success. A few years back I joined my local Curves and jumped on the Curves Complete bandwagon with HUGE success. Since then I moved to an area that doesn't have a Curves, my husband was forced to retire from his job, I started a new job and life has been FULL of fun and mental changes (some not-so-fun). How do I respond to a whirlwind of changes that gives me whiplash? I stuff my face and DON'T do what I know I need to do to stay healthy and reach my goals. Welp today I'm giving it another go. I may not have a Curves near me, but I AM still part of the Curves online community and I have access to some pretty great resources and included in those resources is a meal planner complete with recipes and even an "on the go" menu that I lived on today until dinner. While not advised to do on a daily basis, having "on the go" options means that you can stay on course when you are in a pinch! And finally that leads me to dinner!!! 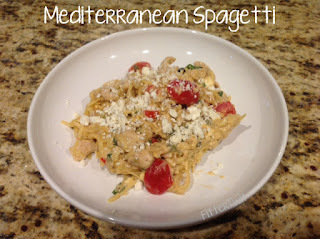 I ran to the store today and picked up everything I needed to make this INCREDIBLE Mediterranean Spaghetti! This one features garlic hummus as the low calorie cream sauce and is loaded with chicken, tomatoes, onions, peppers, fresh basil olives and feta cheese to garnish. And using quinoa noodles made this one gluten free and OMG so yummy!!! This one is definitely a comfort food disguised as a healthy meal!!! 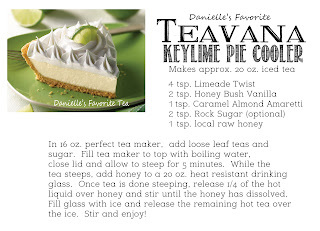 And the new Curves Complete recipes now has a new feature where you can control the amount of servings and it automatically adjusts the shopping list for you. That feature didn't exist the first time I was on this program. I'm hoping that it is little conveniences like that to give me the boost I need to make this happen..... FOR GOOD!!!! Here's to giving this another try. Now to dial it in on the exercises and 10,000 steps per day. I KNOW my Curves Complete pedometer is around here somewhere!!!! I hadn't realized until just recently what a blessing my "mostly stocked" craft room is.... honestly, that little space of heaven might really be saving my life!!! Not a bad way to start off my new year!!! This is the WONDERFUL project I copied from Karen! Check out her blog HERE!!! Big "THANKS" to my dear friend (and local Stampin Up Demonstrator), Cindy, for being game to help me recreate this incredible project!!! Using the iridescent ice with the silver ink for the snowflake was utter brilliance!!!! If anyone in the Chandler, AZ area is looking for a local Stampin Up Distributor, you can check her out HERE! There's only a couple more days to order to get your hands on a couple of the items I used to recreate this gem (they were seasonal items)! 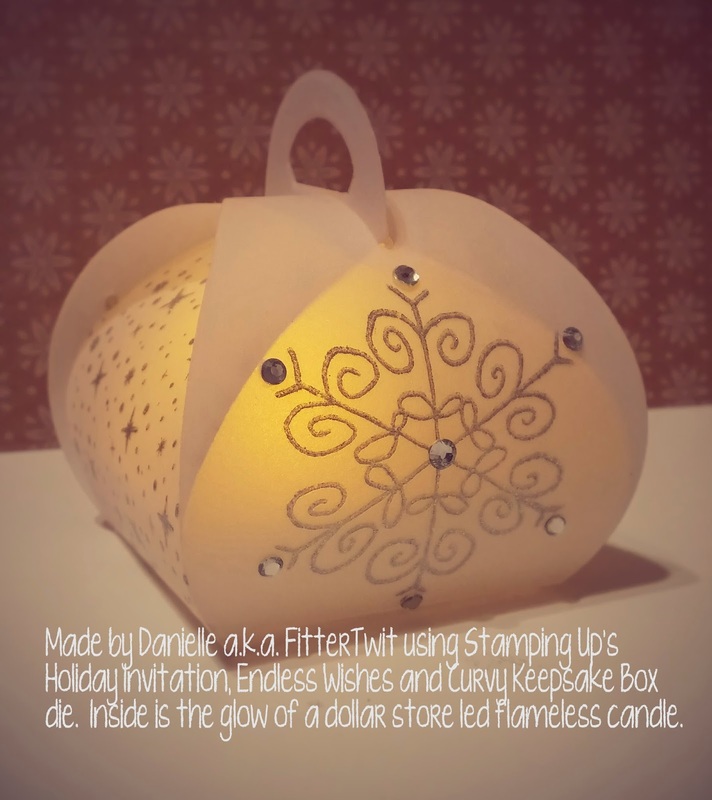 I really had a blast tonight with my friend Cindy making these curvy keepsake luminaries and I definitely had a blast with my sister and her husband at paint night. I made a mental note that the "sharing" of artistic expression and relieving stress is truly an added bonus and an even bigger blessing than if I'm holed up in my craft room. I think it's something I need to do a little bit more of. But that being said, there is NOTHING like shutting the craft room door and getting lost in creativity!!! Here's to a healthy 2015!!! I woke up this morning thinking, "YAY! IT'S CYBER MONDAY!!!" I jumped on my computer to to start my shopping blitz and then realized..... "OMG! I'M PART OF CYBER MONDAY!!! I'm running a business now!!!" 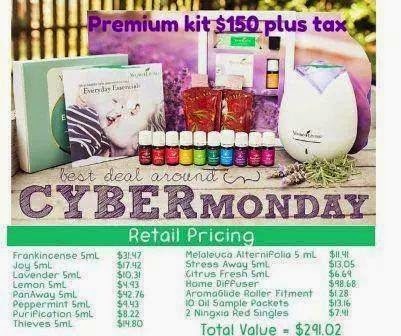 How easy I forget that I went from customer to distributor just three short months ago and am enjoying sharing these oils that have done so much for my family!!! SO TODAY ONLY: Along with this INCREDIBLE deal pictured, you will get a FREE 1 year wholesale membership and a $20 rebate!!! Just click the link HERE to sign up for your 1 year membership and to purchase your Premium Starter Kit that comes with everything you see here. I discovered a special freedom yesterday like I've never known!!! Due to work schedules I just didn't know how we were going to pull the Thanksgiving holiday off.... it was suggested that I have it catered! So slightly begrudgingly, my husband agreed that having it catered would be something worth looking into. 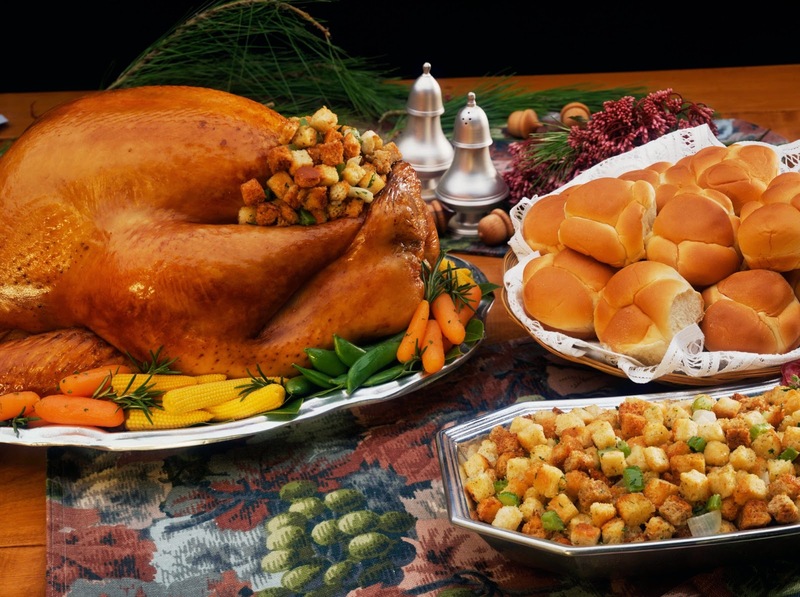 After pricing the different store's holiday offerings, I decided on Fry Marketplace to cater my Thanksgiving meal. I chose Fry's solely on price and locale. There was going to be no way of knowing how brilliant the idea was until yesterday's Thanksgiving meal. So three express meals and one gluten free meal at Fry's cost me $149. With my $5 off digital coupon that brought my meal to $144 that was then quickly back up to $149 with the cans of black olives I had to buy. Then the hubs brought home 2 Village Inn pies (something we do EVERY year) for $19, the whipped cream for $4.72 and rolls for another $5 bringing the total for the meal to $177.72. IT WAS FABULOUS!!!! The turkey was moist and succulent the stuffing was flavorful with that wonder crust on the top that we all love... everything was WONDERFUL!!! The best part! Dishes were done and food was put away an hour after the meal was done. Instead of spending two days on Thanksgiving, I spent 2 hours!!! For those who would argue that my meal didn't contain the "love" of a home cooked meal... I contend that with the lack of stress and the abundance of time I got to enjoy my family this holiday, this one was reheated with love and I will DEFINITELY be doing it again! P.S. It was also decided when the hubs and I picked up our meal boxes, that for $45 for an express meal box containing all the fixins, it was worth buying an additional meal box to donate next year. We wished we would have done it this year! Really, I just cannot tell you how positive this holiday experience was. Thank you Fry's Marketplace!!! Just because you forgave, that SHOULD NOT give the one that hurt you free reign to hurt you over and over. THAT is a matter of self respect. 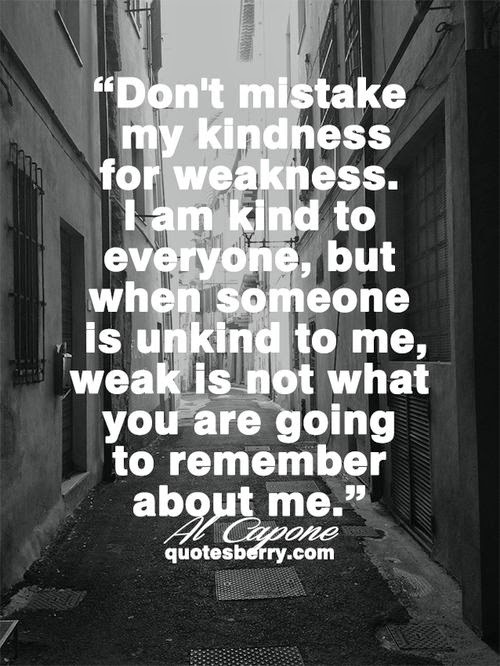 And quite frankly, it is a matter of respect for the offending person and anyone else they may hurt as well. NO ONE should walk through life thinking it is ok to hurt someone else. Forgiveness IS NOT acceptance... it is compassion for the human condition and a recognition of God's love for you and for them. Release offense (absolutely), but take responsibility for your own happiness! Being a martyr is every bit as bad as being an abuser! "Hurt me once shame on you, hurt me twice shame on me." It is a totally different scenario when someone hurts you unintentionally... but repeated offense? There are consequences for our actions and our inaction. Find the strength to be happy. You could be saving someone else. Once upon a time in a land of tumbleweeds and super hot summers, a beautiful, charismatic and really quite skinny girl made her first trip to a well-known coffee shop. She met a friend there who was full of excitement and seemed to have a knowing glint in her eye. After 20 minutes our super hot, skinny, well-spoken, charismatic girl got a little irritated with the wait. "Why am I standing in a 20 minute line for a cup of coffee? Why would ANYONE wait for this? Don't these people have lives?" To which her friend turned to her and said, "THIS coffee is like none other. This is the very best coffee in all the land. Would you believe that every one of these people DO have lives and including this coffee makes it complete? It is not just coffee, it is a lifestyle. People come together because of this coffee, they form incredible friendships and even conduct meetings here. There are some who, like you, don't get it. Maybe it's because they've never tried the coffee, maybe they've tried it and haven't seen the light. But for those who tried it and get it, they now have a place to 'belong' and enjoy the very best. They have something to look forward to every day and have found something that makes them happy. They could try and manufacture this happiness on their own at home.... but NO ONE makes coffee the way this coffee company does and for all of us WAITING.... it is SOOOOO worth the wait. The drop dead gorgeous, funny, well-spoken, super-model thin, charismatic girl smiled and decided to wait in anticipation of the very best that she now believed was on it's way. This is a mostly true story. Why WOULD everyone wait? Aren't we curious.... anticipating.... what everyone is waiting for? If everyone is waiting... could there be something to it? There was a time not so long ago that I didn't get it... I get it now. I REALLY, REALLY get it!!! 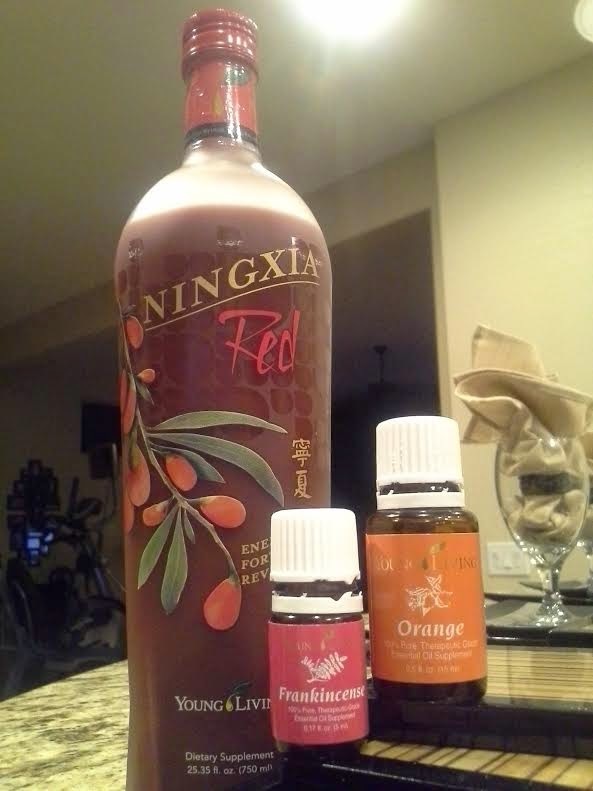 And I've just replaced my morning coffee with Ningxia Red. I am now a distributor for Young Living Essential Oils (#2065124). I am such a believer that I decided that I needed to share it with the world. If anyone reading this is curious about how essential oils can enhance THEIR lives.... please send me an email. I would LOVE to speak to you: fittertwitdoesoils@gmail.com *** Young Living Essential Oils is expanding because of the growth... luckily the wait is no longer very long!!! I am a Freelance Blogger. I write about everything that interests me. I choose what topics I will write about and what companies I want to feature on my blog; I maintain the freedom to showcase only companies whose products I like and all product reviews are honest based on actual use of the product (except where specifically noted...meaning I lie sometimes! hahahaha! Just kidding, what I mean is that some reviews may include products that have not been used by me, and if that is the case, I will let you know). I am compensated in products, prize winnings, earnings for advertising (also where specifically noted) and heavy praise with the occasional applause. 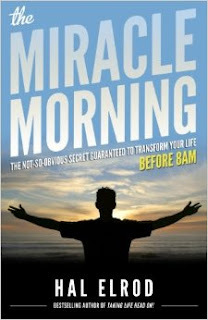 This blog also receives product donations that are given freely for prize giveaways. All questions concerning this blog can be emailed to fittertwit@gmail.com. Thank you.